Outstanding townhome in highly sought after guard-gated resort community of Las Brisas! Bright and spacious floor plan w/guest bdrm/bath & 3rd bedroom currently set up as a T/V. room/den downstairs. Spacious master suite on entire second level w/sitting area, his & hers closets, separate shower/tub and balcony/deck overlooking Scottsdale Ranch. Fabulous eat-in kitchen w/breakfast bar and breakfast room, separate formal dining area for those special occasions. Vaulted ceilings in living room w/large windows and lots of natural light (LED lighting). Wrap around south-facing patio to be enjoyed at anytime day or night! Meticulously maintained! Enjoy Las Brisas w/24 hr. guard gated, 3 pools and 2 tennis courts for your enjoyment. DON’T MISS OUT! Furnishings available separate bill of sale. Directions: Shea to 100th St. south to third community on left. Go to guard gate – guard will direct you to home. Approximate size: 5102.00 sq. ft. 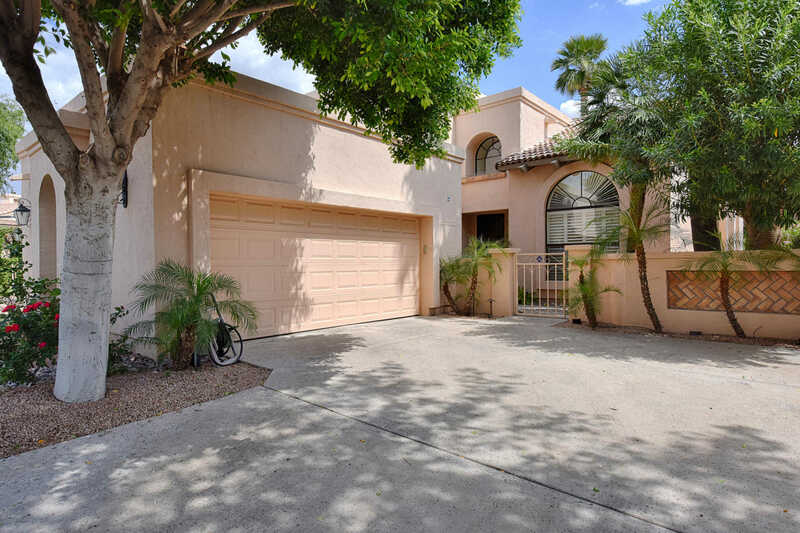 Please, send me more information on this property: MLS# 5911515 – $550,000 – 9853 N 101st Street, Scottsdale, AZ 85258. I would like to schedule a showing appointment for this property: MLS# 5911515 – $550,000 – 9853 N 101st Street, Scottsdale, AZ 85258.